Qatar’s ruler Sheikh Tamim Bin Hamad Al-Thani Friday in his first address since the beginning of the crisis between his Emirate and its neighbors said Qatar is open to negotiations but any talks must respect its sovereignty. Al-Thany in his address indicated that his country was unfairly targeted and victim of a smear campaign. “We are open to dialogue to resolve the outstanding problems [so long as Qatar’s] sovereignty is respected,” Sheikh Tamim added. It is the first speech of the Qatari ruler since late May when Saudi Arabia, United Arab Emirates (UAE), Bahrain plus Egypt accused the leader of making incendiary remarks judged friendly to Iran and sportive of Hamas and Hezbollah; two groups deemed terrorist groups. On June 5, the four countries cut diplomatic ties with Qatar and busted air, sea and ground links over Qatar’s alleged funding for terrorism. Al-Thany praised his people adding that the crisis was a test but the nation overcame it. “It is clear that the campaign against us was pre-planned. We took a test and passed it,” he said. 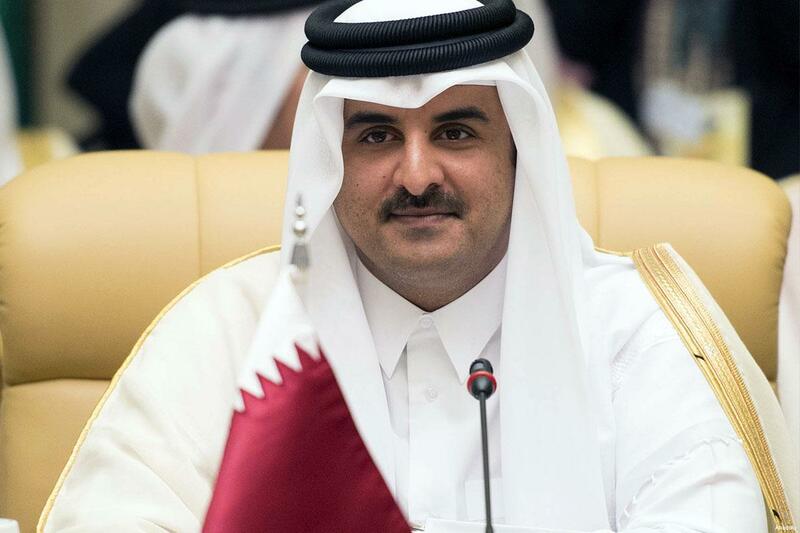 Qatar, through the crisis, will grow stronger, Al-Thani noted, adding “We will open our economy to new initiatives and investment so that we can produce our own food and medicine and diversify our sources of income”. Following the blockades, the tiny gulf country turned to Turkey and Iran to open new commercial routes and overcome the food shortage it faced. The Emir also thanked Turkey for its quick activation of the Strategic Cooperation Agreement between the two countries to help meet the needs of the Qatari market. Written by: KanelkaTagba on July 22, 2017. Posted by KanelkaTagba on Jul 22 2017. Filed under Gulf News, Headlines. You can follow any responses to this entry through the RSS 2.0. Both comments and pings are currently closed.